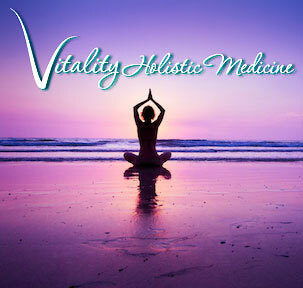 Welcome to Vitality Holistic Medicine! My goal is to help you be your healthiest, most vital self and create the life and family you’ve always wanted. My clinical focus is on fertility and women’s health, which involves helping women get pregnant naturally or in conjunction with assisted reproductive technology (ART), as well as treating common problems like endometriosis, PCOS, menopause, dysmenorrhea and PMS. I do that with acupuncture, herbal medicine, yoga, nutrition, lifestyle changes and compassion — interventions that have been extensively researched for fertility and health. Chinese medicine is a complete and very powerful medical system that puts you — as a person, not just a patient — at the center. 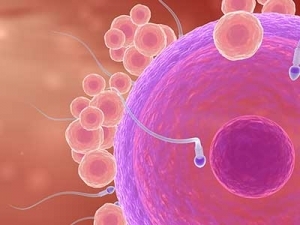 It has a long history of treating infertility and women’s health and my approach today builds on those centuries of knowledge and experience while incorporating modern technology and science. We’re not fixing a symptom or developing a work-around; we’re addressing the root cause of the issue, which improves your overall health and ability to conceive. Are you ready to sow the seeds for a more vibrant, vital, fertile life? 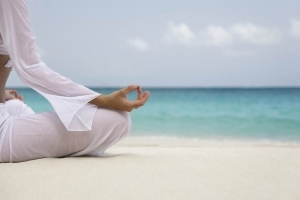 In Chinese medical texts the reproductive organs are often referred to as the “palace.” We “prepare the palace” for conception by strengthening the body, moving blockages and sluggishness, clearing excess, warming the womb and harmonizing. It’s all about creating balance and the body thrives when it’s in balance (see: homeostasis and equilibrium). If it’s not, the last thing it wants to do is support another life. We try to create the perfect environment for your little blessing while keeping you, the mother, as strong as possible. 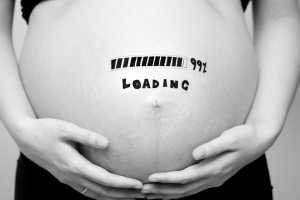 Acupuncture is safe throughout pregnancy. I treat everything from morning sickness to placenta previa. At the beginning of your pregnancy, when the risk of miscarriage is the highest, acupuncture can help “calm the fetus” and keep your body strong. Near the end of your pregnancy, I use acupuncture to help prepare your body for birth (it’s called “pre-birthing”). These reproductive organs of ours do seemingly miraculous things but they can also cause problems. Painful (or irregular) periods, PCOS, endometriosis, fibroids, incontinence, prolapses — they can all be disruptive, whether you’re trying to conceive or not. My approach — looking at your body (and mind) as a whole — gets to the source of the issue to help you get back in balance and enjoying your life. Society often sends a message that once you’re past a certain age, you’re not as attractive or essential as you used to be; you become a little invisible. That’s absurd and I don’t buy into it. We also get the idea that menopause is horrible and we should fear it. Some women do struggle, but I think we need to embrace it as a natural evolution and a new beginning. Your childbearing years may be behind you but your life can still be just as fertile as ever. Chinese medicine and other lifestyle interventions (especially diet, exercise and mindfulness work) can be very helpful in managing the hormonal transitions that occur before and during menopause. A key part of any woman’s life is exercise and sometimes this area needs a little tweaking to help you recover from or prevent injuries, lose or maintain weight, get stronger, improve your fitness or boost your flexibility. Exercise and being active do so much more than just help you fit into a pair of jeans. They improve your mental, physical and emotional health and help you deal with everything life throws at you. As a certified trainer and yoga instructor, I can create a workout program that works with your body, not against it and serves your goals for the long-term, whether it be getting in shape to be a mother, running faster, or just finding your inner athlete.